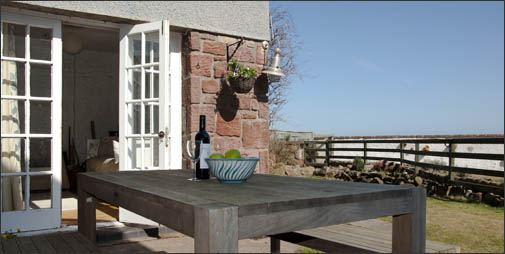 Conveniently located 30 miles from Edinburgh in the historic burgh of Dunbar, The Kipper House is a delightful holiday cottage by the sea. The cottage sleeps 6 – 8 people and is on two floors with 1 twin and two double bedrooms, kitchen, dining room, sitting room (with sunny snug) as well as a garden overlooking the East Beach and the sea. The Kipper House is close to Dunbar's High Street which has shops, restaurants and bars and is a short walk to the harbour. Dunbar is ideal for family holidays with beaches and rockpools as well as surfing, golf, sailing, and walking.